Businesses reached the point where they’re aware of the importance of user experience - I think I don’t need to convince you that, if you want to have an successful app, you need to focus your activities on meeting your user’s needs, as well as enable them to achieve their goals and address their pain points. Here are few ways that will help you achieve a better user experience which your users will appreciate in the long run. First and foremost - you need to understand that you’re creating your product for the people, not for yourself or your business. Without their support and attention, your success might never come. Therefore, never forget about reaching out to your current or potential users. Here are a few ways to start getting insights from your customers. By digging deep into data you can identify a lot of patterns that negatively affect your app. Start observing things like the retention rate, average session length, stability metrics or the churn rate - these indicators can tell you whether there’s something wrong and which elements you should investigate more. If you start observing that, for example, the average session length is getting shorter and shorter, you should start asking not just yourself, but also your users why. One thing to keep in mind - do not analyse the data without knowing the context. For example, if you have a news feed app, you might be dissatisfied with high activity taking place only during the morning and afternoon hours. But if you understand that your users are commuting during that time and it’s the only time when they can focus on your app - you won’t be figuring out how to engage them during the whole day, but what are the ways to make your content more interesting. Developing new features or fixing existing ones is a smart thing to do, but are you sure that you know what your users crave? You can only find out by talking to them. There are various ways to do so: in-depth interviews (IDIs), user testing, analysing user feedback, forums, Facebook groups or sending out surveys to your current and former clients. Whatever form of contact you choose, it will help you discover far more than sitting with your whole team and brainstorming the whole day. The first rule that a product creator should remember - you’re not designing for yourself. Talking to and observing your users is the best way to understand your users’ needs, how they perceive your product, and what annoys them. It’s also a great way to start creating a growth strategy. There’s no time to waste - just start asking questions! You might think that onboarding is just a few screens that explain how your service works and that the users can figure out the rest while using your app. On one hand it’s true, but on the other this is your one and only shot to make the best impression (which is a long lasting feeling in human relationships). Onboarding is a perfect way to convey your message and show people how your app can help them fulfill their goals. If your customers don’t understand how they should use your app and what are the core features, your one-time shot will be over and - which can be even more hurtful - people can start talking about the bad impression you’ve made. The other thing is sign-up, a process that is often required just to start interacting with the app. Do not ask the user to register until it’s really necessary. 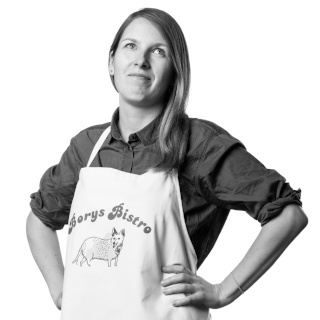 Nobody wants to buy a pig in a poke, so even if you’re kindly asking for users’ for credentials right after downloading your app, expect far less sign ups. Instead, allow people to look around, know your product, and appreciate its real value. Once they’re accustomed to the app, show them the value of signing up and staying longer. Consider yourself as a top notch hotel host - a smooth onboarding should contain a proper introduction as well as contextual cues so that your customers will feel properly welcomed (just like at a reception desk) and guided while discovering new screens and features (hotel lobby and room). If they are satisfied with the experience, they’ll be more convinced to visit more frequently and sign up for good. The mobile experience is totally different from the desktop one. You should always keep in mind that your users can be on the move while using your app, can get distracted by external factors (like a car horn or a talkative colleague) or internal ones (such as a notification from another app). The key to a great user experience is to be prepared for such situations and anticipate them at the right time. Ask for only those which are really required to use your app. If you created an app to discover plants, it’s a good idea to ask for access to the camera. If it’s an app with podcasts - you probably don’t need the list of contacts imported from the user’s address book. 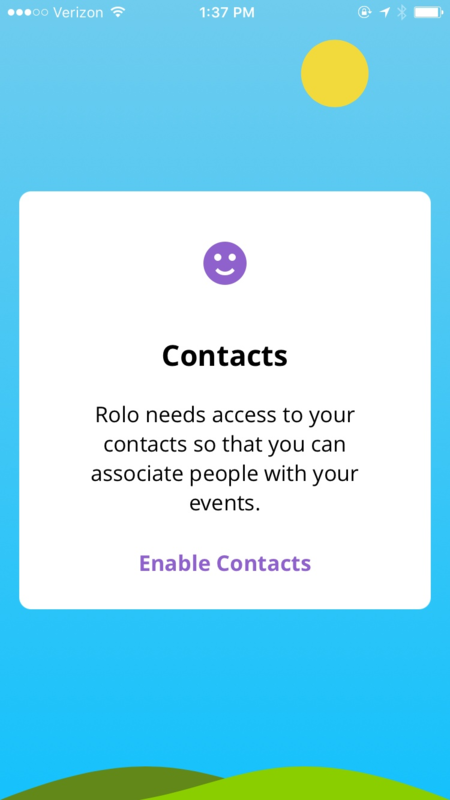 Rolo Calendar politely asks for permission and provides a proper explanation why it’s needed to use the app. Bombarding users with messages every time something happens will eventually lead to frustration and uninstalling your app for good. By default, be very gentle with in-app notifications and let the user decide what type of alerts s/he wants to receive. This way, your users will have a sense of control over your app and personalize the notifications just as they like it. Airbnb users can decide what kind of notifications they will receive in terms of content as well as channel. The rule here is pretty straightforward - the simpler, the better. When creating navigation, you should consider a few factors - which of your menu options are the most important, can you limit the number of elements up to five, will the menu (in whichever form), be frequently used by your customers? There are numerous patterns to choose from, but keep in mind that your users shouldn’t feel lost and always know from which point they can start all over. Keeping it simple will prevent users from feeling overwhelmed and confused, which is especially challenging when designing for small screens. Navigation is a very broad topic and we described it more thoroughly in a separate article. When shopping, your customers are not considering the experience in terms of channels (such as mobile, desktop or tablet) they are just just looking around, reviewing the product, and eventually want to buy it. What you need to provide is a convenient way to do so, no matter what channel your customer is currently using. Therefore, when a person is checking out your products on mobile and than changes the device, you shouldn’t force her or him to perform the same search all over again. The same goes for filling checkout details - when the user stopped at one of the steps while using a smartphone, do not require them to enter the same details through another channel. People will notice the convenience. Apple and Google created very extensive guidelines for mobile patterns - one of the goals of those guidelines was to stop creating new ways of achieving the same thing. Since it takes some time to learn a new pattern, and people are accustomed to using similar elements employed across various apps, it’s not a good approach to reinvent the wheel when it comes to very standard elements. Also, remember about the physical constraints of mobile devices. You probably know this from your own experience - it’s hard to reach elements in the upper area of the screen. Therefore avoid adding frequently used features outside of the zone easily reachable by thumbs. The other issue is different sizes of people’s fingers - tapping on the wrong item and spelling mistakes happens way more often on mobile than on laptops. Be sure you’re prepared to fix the problem quickly and counteract possible mistakes. Remember that animations drive attention, so beware of animating every element in your app, since your customers won’t be able to focus on the important parts. Last but not least - animation can be fun! Even a small twist can be considered a nice gesture towards your users, and they will definitely notice that you pay attention to the details. By engaging text and light animation, PrettyCity.io added a little bit of fun while waiting for a refreshed, crane-free photograph. Who says that logging in must be dull and boring? Google’s Material Design is a great source of knowledge that should help you understand the principles of animation and motion in general. Definitely worth reading! Maybe it will sound very obvious, but we can still see the consequences of not paying attention to loading speed. 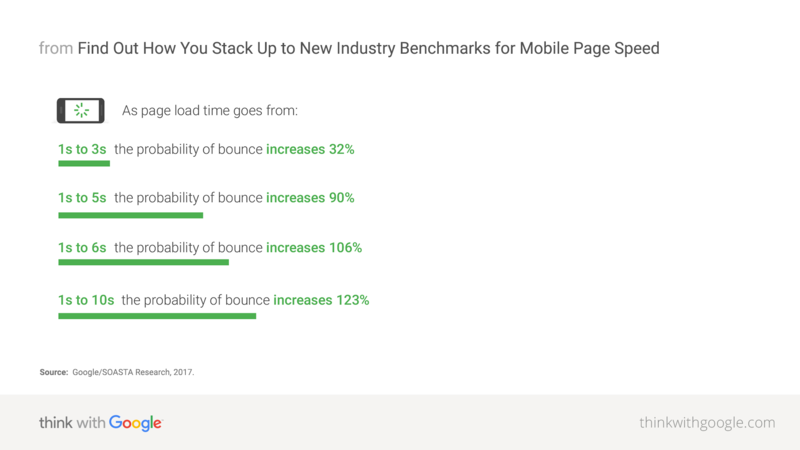 Performance of your app deeply affects your customer’s satisfaction - as Google/SOASTA Research states, if a page takes more than 5 seconds to load, the probability of bounce increases 90%! Although the research is about mobile landing pages, we can easily imagine that the same conclusion can apply to mobile apps - the slower your app is, the more frustrated people are. Other factors that affects apps’ performance are the number of crashes, the smoothness of animations, and even battery usage. 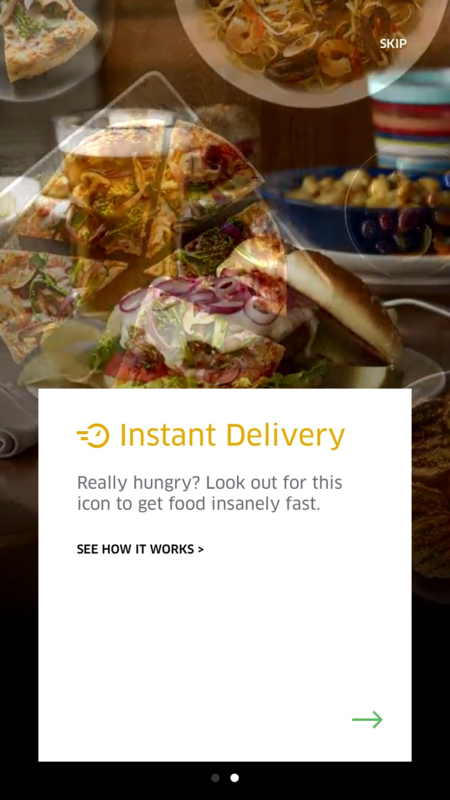 If in certain situation you can’t improve the speed of your app ad hoc, remember to show relevant information to you users such as a loader, or a visual or textual explanation in the line of the principle - Fake it till you make it. There are multiple ways to improve user experience, but in order to start doing it, you need to select the areas you want to focus on. Some refinements require a lot of time and resources, but with proper research and budget for changes, they will bear fruit in the future. Your users will thank you later!